A bill floating in Ukrainian parliament seeks tougher sanctions against holders of dual citizenship, which is forbidden in the country. Under the legislation, violators could be punished by a prison term of up to 10 years. The controversial bill was submitted by then-opposition Batkivshchina (Fatherland) Party in early February and would amend the country’s criminal code. It provides tougher punishments to those, who fail to inform the authorities that they became citizens of another country. Currently a Ukrainian citizen who receives a second citizenship remains a citizen of Ukraine, unless he/she notifies the authorities and gets stripped of his/her original citizenship. There are fines for those who fail to disclose their dual citizenship, but the regulations on the issue are quite murky and rarely applied. 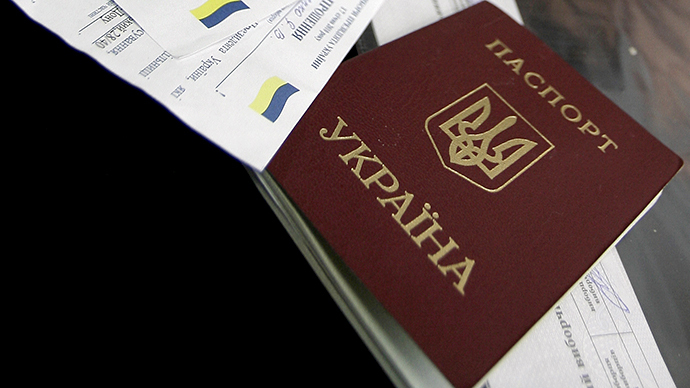 A bill submitted on February 7 seeks to overturn the situation by violators of the dual citizenship ban in Ukraine. Those simply holding two citizenships would be fined a modest sum of some $165. 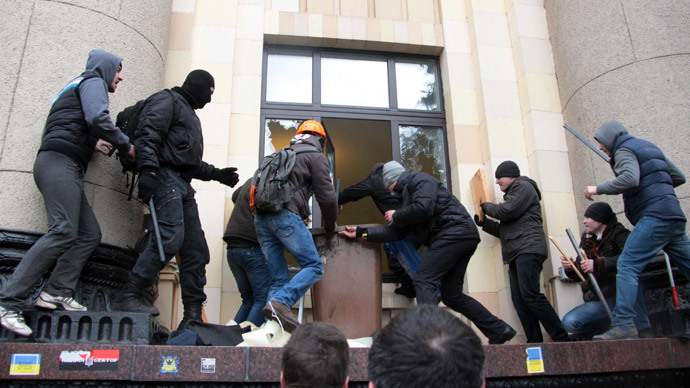 But those using their illegal Ukrainian citizenship to vote in elections or to hold a public office, which requires one, face a much harsher punishment under the bill. Voting would bring a prison term of three to five years, while those who took a public office giving them access to a state secret may go to jail for up to 10 years. 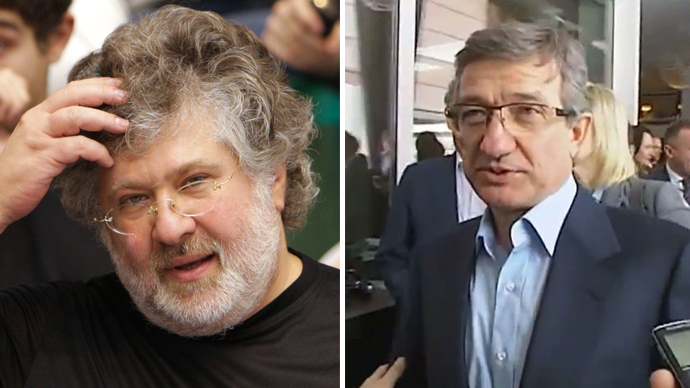 Sponsors of the bill say it would boost national security and would bar other nations from influencing Ukraine’s internal and foreign policies. The bill may be considered by the parliament after the ongoing political crisis is over, co-author Aleksandr Briginets told Izvestia newspaper. “Now, when there is a military threat, the parliament would not pass any such bills. When the situation has normalized and the military threat is no more, we will return to the issue,” he said. “We will consult with all regions of the country and together determine, what we should do about holders of dual citizenship,” he added. The self-appointed government in Kiev in its first days disturbed eastern and southern regions of Ukraine, where many Russian-speakers live, by repealing a law, which gave regional status to the Russian language. Seeing this as part of an anti-Russian discriminatory stance of the government, some of the regions denounced Kiev and said that they would not be taking orders from the new regime. 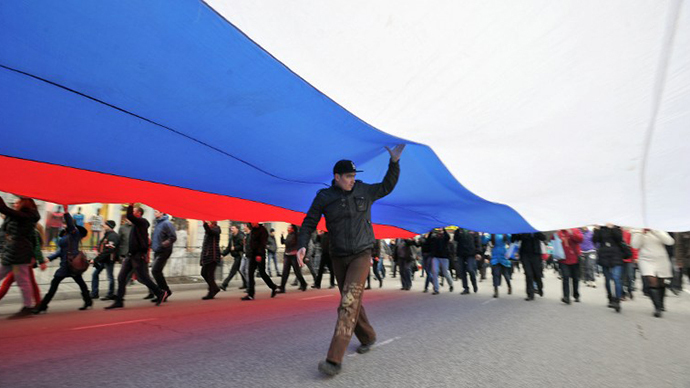 The defiance is especially vocal in Crimea, where ethnic Russians constitute more than a half of local population and many have Russian citizenship. The residents have announced they are going to hold a referendum on March 30 to determine the fate of the Ukrainian autonomous region.